Star rectangular bathtubs are equipped with an oval opening. Two round cockpits are placed on either side, providing extra back and arm room. Amethyst bathtubs come equipped with ergonomically-molded seating space for two adults. 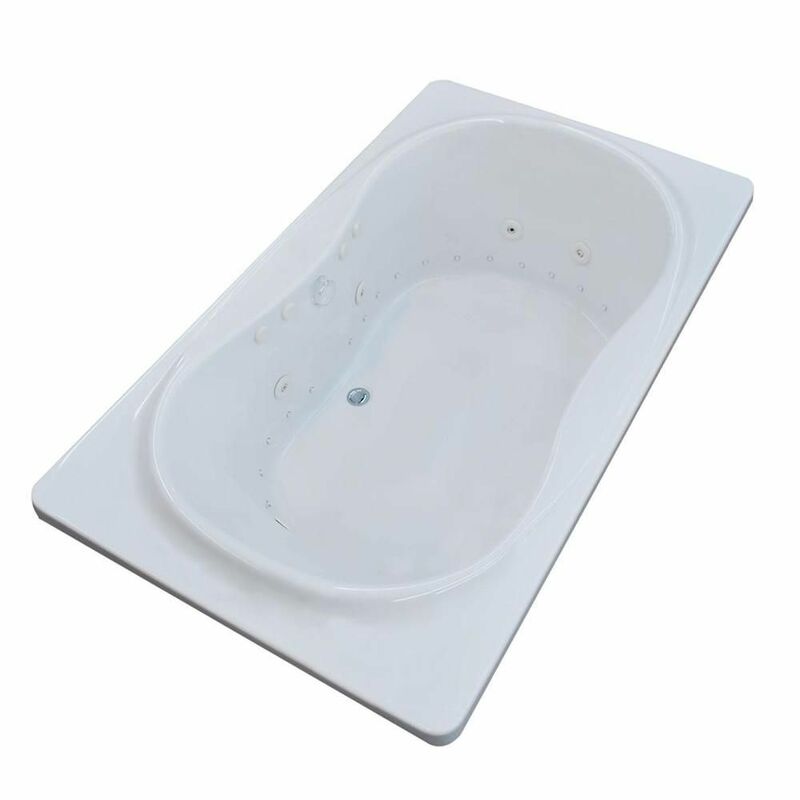 Comfortable armrests located on both sides of series bathtub provide luxury and comfort. An offset angle opening design creates an intimate setting, which will compliment both modern and classic bathroom styles. Coral collection features luxuriously designed corner bathtubs, with a traditional oval interior. Molded floor pattern prevents bathers from falling, while adding a piquant flavour to the bathtubs design. Lightweight construction makes installation quick and easy. Interior armrests provide luxury and comfort. Imperial bathtub series features classic rectangular design with a soft-edge oval opening. Classic, round-opening style will add a hint of luxury to any bathroom setting. Sapphire series bathtubs resemble simplicity set in classic design. A rectangular, minimalism-inspired design turns simplicity of square forms into perfection of symmetry. Star Diamond 6 ft. Acrylic Drop-in Right Drain Rectangular Whirlpool and Air Bathtub in White Star rectangular bathtubs are equipped with an oval opening. Two round cockpits are placed on either side, providing extra back and arm room.